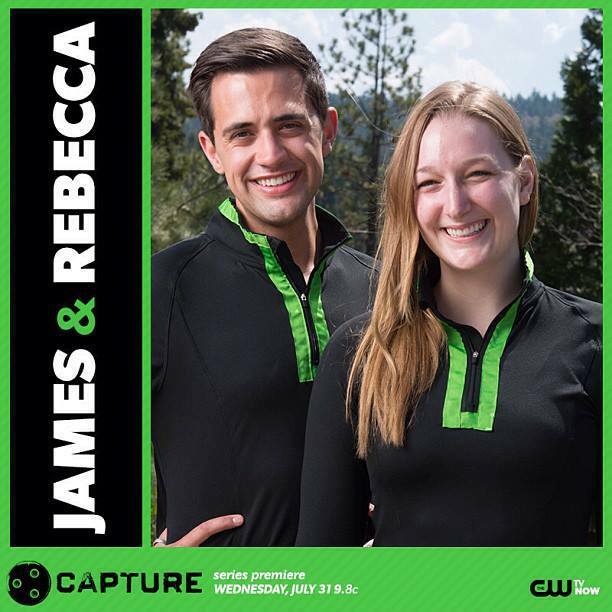 Last month I was browsing through programs on Hulu and stumbled upon The CW's new reality show Capture. The show is loosely inspired by The Hunger Games and has 12 teams compete in a Capture the Flag-type elimination challenge every week for a $250,000 grand prize. I quickly found myself wanting to learn more about the Lime Team, comprising Midwestern siblings James and Rebecca Wallington. 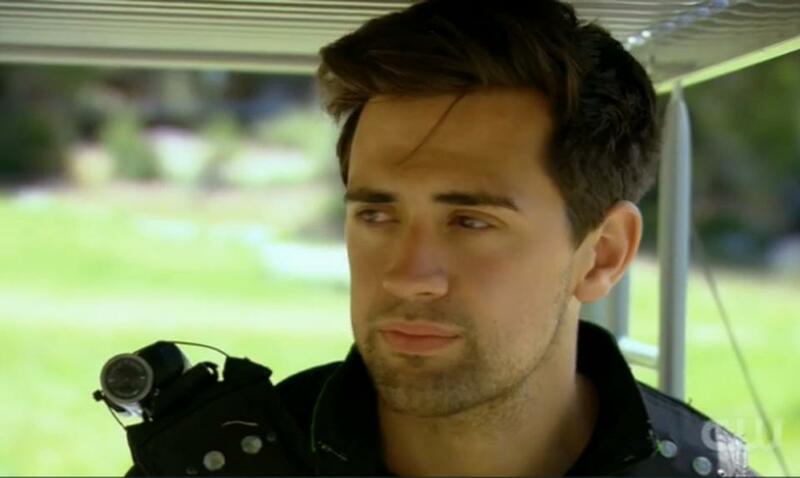 I recently chatted with James about his experiences on Capture up to his and Rebecca's elimination in the fifth episode. Randall Jenson: James, what's been the general response you've received after being on this show? James Wallington: It's interesting to see people's responses to a reality show. We're filmed 24/7, but it's really condensed into a 44-minute episode. We just happened to have our experiences documented on camera. So how we handle situations or how we react to certain things is only human. Jenson: Yes, I think that is very well-said. I can only imagine that editing does wonders, right? Wallington: [Laughs.] I have to hand it to them, though: I think the editing's great. The story is definitely there, and it definitely happened. [Laughs.] I think Rebecca and I got very lucky on how we were portrayed on the show. I'm very glad our story was able to translate well to audiences. The response we've been getting is very humbling, knowing that even though our time was cut short on the show, our impact continues to carry on. I've had people reach out to me on social media saying we've inspired people to address bullying or get closer with their siblings, because at the end of day, our parents always taught us, "Friends come and go, but family lasts a lifetime." Rebecca and I only had each other, so we were forced to really lean on one another and push ourselves to be the best versions of ourselves. Jenson: That absolutely shows through. I've done a lot of work filming gay men, so I was watching the show and thinking, "OK, I think you're gay...." But they weren't talking about it! They were talking about another team being gay. I just thought that there was a lot with you that wasn't being shared, and that made me really interested in knowing more. Wallington: Totally. Well, I appreciate that! When we were out there as a cast, we talked about it this way for moral support: "A third of the country is going to hate you. A third of the county is going to love you. And a third of the county is going to want to sleep with you." Basically, people are going to hate, love and want you. Jenson: I like that those are your three categories, and that you obviously assumed that folks are going to want to sleep with you! Wallington: [Laughs.] I can't take credit for that quote. Arlynn from the Pink Team was the one who said that. She's a very wise person and made us all feel comfortable. At the end of the day, this is what it boils down to, and we all have each other as a cast, because we all went through this experience. Jenson: Well, when the show first started, you and your sister Rebecca were portrayed as a rather weak team. You two were up for elimination at the end of the very first episode. Were you surprised by that? Wallington: I definitely think we came off as a weaker team. A lot of it has to do with our personality. We are very happy-go-lucky people with a lot of spirit. I think that can be shown as a weakness, but I think it actually proved to be more of a strength. Jenson: As they began to unravel all the layers of everyone's back story, in the fourth episode, "Angel With a Broken Wing," it was revealed that you had been bullied a lot in high school. We LGBTQ people are really used to hearing about bullying, so in a way, the episode kind of "outed" you without really saying you're gay. I thought, "OK, this is James' coming-out story." Jenson: Well, now you could probably think of the song very differently in terms of what they could be talking about. Wallington: Oh, for sure! [Laughs.] Unfortunately, by middle school, the insults and threats got harsher and became more real. It was the worst. I had the macho guys in the lunchroom throw stuff at me. I actually ate lunch in a separate room because I didn't feel comfortable eating lunch in the cafeteria. This was really hard and very degrading on your spirit. In Capture, when Rebecca and I were eliminated in the fifth episode, I shared we had really built a lot of walls between us as siblings. And that ultimately had to do with me. During middle school I couldn't really express what I was going though because I feared judgment by my family and friends. Rather than turning to my family, who's been nothing but supportive to me and shown unconditional love, I bullied my sister. I was being bullied, but in turn, I bullied my sister. This caused a lot of walls to be built. She was younger than me, and so she didn't obviously understand why her big brother was picking on her. Once I was a freshman in high school, I had been told numerous times that I needed to go kill myself for being gay. And of course I wasn't even really out of the closet yet, still! But by my sophomore year, I dived into the arts. I wasn't considered "masculine enough" to do sports anymore, so I ended up finding a more artistic outlet, like playing saxophone in band. And then I pursued musical theater! [Laughs.] By my junior year of high school, I was cast in The Taming of the Shrew in the role of the tailor, who makes a dress for Kate, the shrew. I don't know what hit me, but I thought, "Let me make this character as sassy and flaming as possible!" because if you make fun of yourself a little, I guess there's a sense of "whoa, I'm not going to pick on this kid anymore" by others. So I went out there: I had a belly shirt, knickers, bright-purple shoes, body glitter and a boa. I walked out, and the audience went nuts! I couldn't even deliver my first line because the audience was hooting and hollering. That's when I started to see a shift towards me. I now had confidence and could make fun of them for making fun of me. I'm more secure in who I am now. And by senior year I ended up becoming prom king! That to me was the most bittersweet moment. I really proved something to myself, that I could overcome it. Jenson: Absolutely. I loved that you used humor and camp as an empowering moment. I love this story! So we all knew that you, the Lime Team, were the ones who sabotaged the Blue Team and cast the final vote that sent them home. It felt like the ultimate "It Gets Better" moment, but were you bullied by them? Wallington: It's an interesting question to answer. You're playing a game, obviously, but it's also life. You're living in a village and have to coexist with each other. We also obviously wanted to try and get $250,000. But I noticed the Blue Team, more Eric than Shane, start to pick on people, and it got really personal. When Eric told Nick from the Gold Team that he needed to "come out of the closet," when Nick isn't even gay at, that's when I started having issues with him. That's why I said when we eliminated them, "I was bullied my whole life. Why am I going to let this be OK?" I think that's how Rebecca and I emerged as strong, strategic players. Jenson: So, James, it seems that the show focused a lot on the Red Team sharing that they felt they were a different type of gay men. Often, the Red Team emphasized how they were competitive, strong athletes. On Twitter I even saw one of the members of the Red Team do a hashtag #newbreedofgay. Have you ever personally wanted to be seen as masculine? Wallington: My reasons for wanting to do this show and compete in this competition were focused on my relationship with my sister. It never had to do with my sexuality, but of course it had a part. We saw this play out in the fourth episode a bit. I think deep down, there's a part of me that wanted to prove to myself what I'm capable of. I'm a very athletic person. I think I was stripped of that when I was bullied growing up. But I'm just me. People can make that what they want, but I don't feel that I had anything to prove. I loved every aspect of this experience, and I would do it all over again. I talked about this more in another interview. 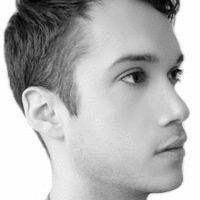 Jenson: I saw some of the dynamics of the show as symbolic of larger issues in gay communities. So do you think that a desire for "masculinity" relates to the way that gay men treat each other in gay male communities? Wallington: That's a very good question, because I do feel that. My experience with the gay community is there are so many different tiers or "types" of gay. For me, it's universal: We're all just gay; there's lots of attributes or ways to be, whether we're more masculine or feminine. If we as a community want to become stronger than where we are now, we have to also look at the prejudices within our community. There's superiority for some, but also some are more quiet and introverted. They may not feel a part of a community because of how forward or blunt certain "types" are. I don't want to offend the community as a whole, but I have a hard time feeling like I can relate to the gay community at times, especially in Los Angeles, where I live now. I don't need to go to the gym 24/7 every day to work out and have the best body to feel good about myself. If you want to work out, that's great -- take care of yourself -- but that doesn't mean I'm not good enough or not on the same level as you. Jenson: Has competing on the show brought you and your sister closer together? Wallington: We were very close growing up, until the point I started getting bullied, which then, in return, was a domino effect, since I was bulled and, in return, bullied her. We will always love each other, but this experience did wonders for our relationship. This is what I should have done when I was being bullied: I should have relied on my best friend, my sister. The reason why we are always holding hands on the show is that was a protective thing. That's my little sister, and she's always going to be my little sister in my eyes. She's growing up to be such a wonderful woman. I'm so proud of her, and we've learned so much about each other through this experience.